What’s wrong with your resume? Well, a lot, actually, if you’re like most people I know. I’m sorry, but there it is. The problem starts in school. Career advisors coach us in presenting a resume that is professional, to the point, and well, boring… and dead! The old resume and cover letter format is not very interactive, personal, or expressive. The problem with that is that today’s world is. Too many people (experienced job seekers as well as students) are being lulled into a dangerous complacency by the palatable platitudes of supposed career experts. I’m afraid if you are listening to advice that sounds easy, that makes your career trajectory sound like it will be a walk in the park, then you are setting yourself up for disappointment. 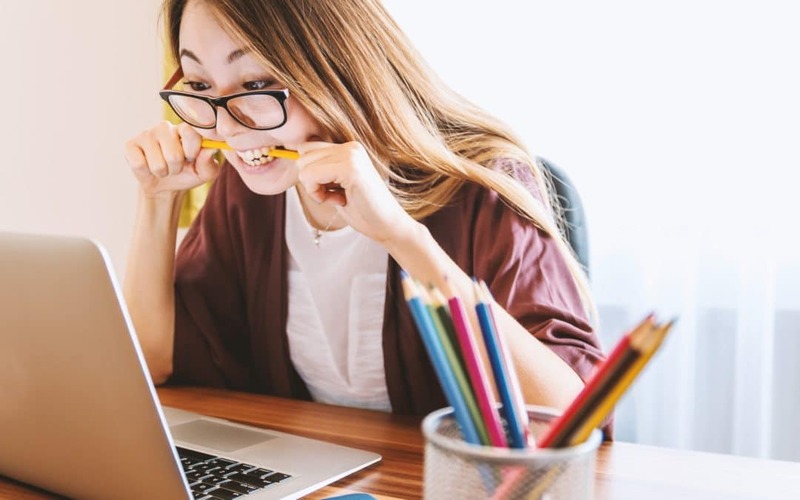 If you think that landing your dream job will be easy, if you think you simply need to follow the prescribed formulas, then you are never going to put in the hard yards required. If you ask a career counsellor or human resources professional they’ll tell you not to include a photo, or even a video – heaven forbid! They’ll spout the usual lines about discrimination laws, safety issues, and other potential hazards, blah, blah, blah. My contrarian view is that neglecting to include a photo is the first of many mistakes that people make. Of course you should include a photo! Would you trust a LinkedIn invite or a friend request from someone with no profile picture? You may, but even if you are the trusting type I’m sure you’ll question it in your mind. This isn’t just my opinion. This week alone I have been asked to provide a headshot several times – for a guest blog post, for a podcast (supposedly an audio, not a visual medium), and for a speaking engagement. If you are moving in the professional world then being ready to visually brand yourself is a must. So don’t be afraid to reach out in a more personal way with your next job application. Let the person receiving it know that you are a real person. Inject a little personality, and make yourself memorable with a photo. Haven’t you ever heard someone say that they remember faces but not names? Maybe that’s why Facebook is not called Facelessbook. Now when you’re putting together the perfect resume you can’t just pick any photo. Don’t find one from your last holiday. You standing in a crowd of tourists, grainy, washed-out, and with eyes half closed. Make sure you get a professional looking headshot. This doesn’t always mean you must hire a professional photographer. Just spend some time in front of a mirror, find a friend or colleague who knows their way around a camera, choose a nice background, and you’re done. You can go for a spirited photo that highlights what you do, or shows a bit of personality as long as you don’t overdo it. Remember this is your professional presence. You don’t want a headshot that looks gimmicky – it will depreciate your value. Now, it’s time to look beyond your resume. I mentioned before that the world today is geared towards the interactive and expressive. Look at social media. People want to dive right into the lives of others. No one wants to hear about your holiday anymore. If the photos aren’t on Facebook, it didn’t happen. You can (and you should) be harnessing this hunger for immersive experiences with an online presence that is crafted and unique. For example, if you work in the design space then there is no excuse for a repelling or poorly managed Instagram account. It just looks sloppy. Take the time to get this right, or don’t do it at all. That said, if you want to live as a digital hermit then that is your choice. Just remember that there is much to be gained from a strong online brand, and it’s not all doom and gloom out there. Otherwise people like Richard Branson, Arianna Huffington, Sheryl Sandberg, Daymond John, David Beckham, and Oprah Winfrey wouldn’t be devoting so much effort to their online brands. Should you delete older, unrelated positions and qualifications, or keep them as a way to showcase your versatility? An online presence is the perfect antidote to this dilemma – it’s not stagnant like words on the page. An authentic online brand offers the chance to show the real you, and this gives a much more holistic view than the two-dimensional-job-seeker-you who turns up in a resume. Many people already realise the value of a personal website and blog, but have you ever considered all the ways you can use this tool? One of the problems job seekers face is how to showcase their previous work. Why not develop a dedicated website as an online portfolio, or the diary of a project? This way a recruiter can actually experience your past work, and you don’t have to lug a massive portfolio to your next interview. In France, Germany, the United Kingdom, and the United States, 75 per cent of HR departments report that their companies have made online screening a formal requirement of the hiring process. Of the U.S. recruiters and HR professionals surveyed, 70% say they have rejected candidates based on information they found online. Respondents from the U.K. and Germany also reported this trend. The study found that approximately 55% of organisations now have a policy concerning the practice of profiling. So give some serious thought to your online profile, and while you’re there don’t neglect your LinkedIn account! Social media is an incredible tool when used in the right way. Photo by Bruce Mars on Unsplash. According to Hootsuite research, LinkedIn is the world’s largest and most active professional networking platform, with over 13 million companies vying for the attention of more than half a billion users. With this incredible online reach, it would be a shame if we were to only log in when searching for work. I hope you haven’t fallen into that trap. Spending time on this professional networking platform isn’t a sign that you are about to jump ship. Rather, it is a fantastic way to contribute to and celebrate an industry and a job that you love and to take the reins as a brand ambassador for your organisation. So start at the top of the page, scroll down, and methodically fill out all sections of your profile. Profiles are penalised for being incomplete (although LinkedIn tries to put a positive spin on this by saying profiles that are complete “perform better”). Don’t be fooled. And whilst you’re filling out information, pay attention to your use of words. When you send out a cover letter you want to reference all the key selection criteria, right? Right. Now apply the same idea to your LinkedIn profile. What does the advert for your dream job look like? Include the types of industry terms that a recruiter would use to describe your ideal role. Think in keywords. Once you’ve done this, enhancing the SEO of your LinkedIn profile, then do the same for your resume. Otherwise, your resume might get thrown out before human eyes ever behold it. Large companies are already using AI for resume matching, and if the relevant keywords aren’t there then it’s off to the scrapheap. One of the most difficult aspects of sifting through job applications is trying to get an idea of the person behind the paper. 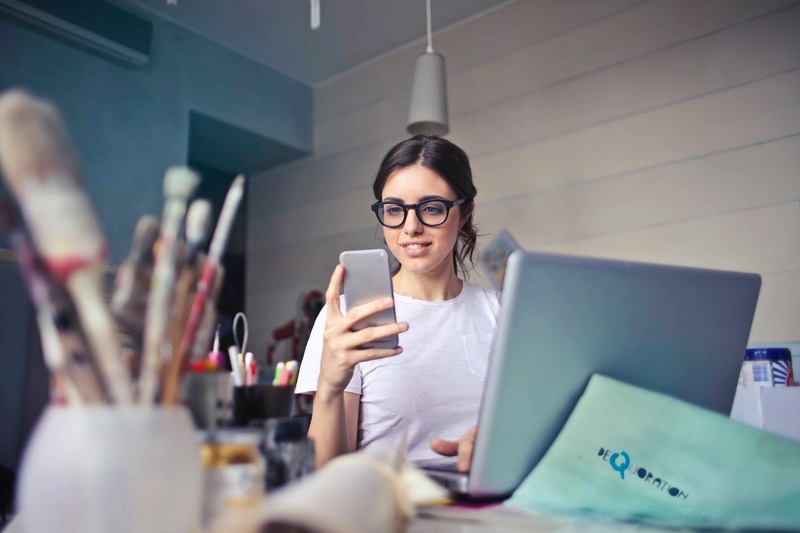 Traditionally, the job applicant only met their potential employer at the interview stage, but these days there are abundant opportunities for you to display your sparkling personality online. I know the younger generations understand what a gift this is – maybe that’s why they’re always glued to their screens? (Though I agree, probably too much). You don’t have to tell people about your achievements anymore and risk sounding like a braggart. Now, you can quietly show people your success. Career counsellors would tell us to hide. To avoid being one of those people with a damaging online reputation. But this is such narrow-minded thinking. Yes, you should give care and thought to the image you present online. But you must think about creating a GOOD image, not just avoiding a bad one. Jon Michail and his team at Image Group International partner with smart and ambitious individuals to achieve breakthrough results with contrarian and disruptive ways to grow and monetise their personal and business brands. 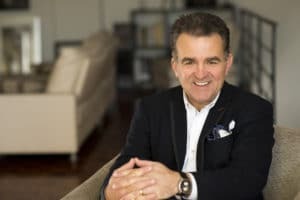 A veteran, multi-award winning coach and author with a Who’s Who clientele, Jon is the CEO and Founder of Image Group International, an Australian-based corporate and personal brand image advisory and coaching organisation that conducts transformational seminars, workshops and one-on-one coaching in over four continents. He is recognised as Australasia’s No. 1 Image Coach.